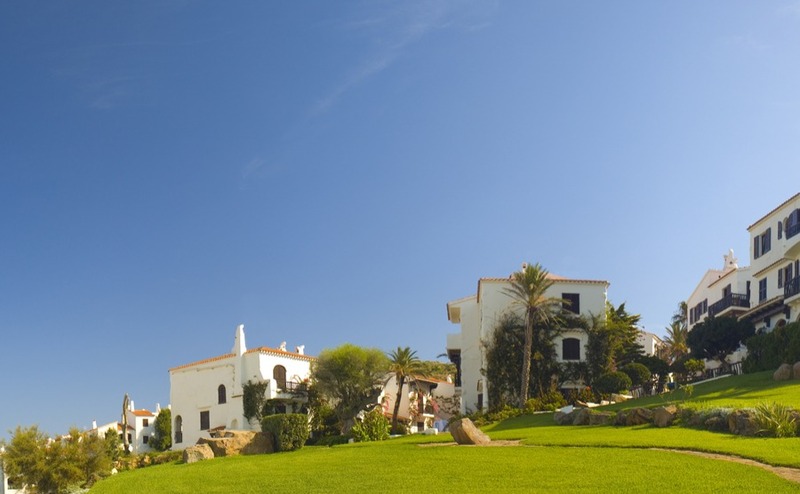 With so much choice on offer, we look at the different styles of property available in Spain. From a castle in Mallorca to a park home near Marbella, there is a perfect property for every budget. Even in the hottest parts of Spain it can get chilly at night in the winter and often an open fire isn’t enough to keep a villa warm. For Spain’s tourist industry, easy to clean, easy to manage and easy to rent out apartments are the cash cow. They are also the type of property that most Spanish people live in. There are many reasons for that. The Spanish tend to live in concentrated areas in the city and coast where space is at a premium. Gardens are less important in this frequently parched country and the Spanish tend to go outside for their evening walk anyway. While ugly apartment blocks have blighted many a beautiful Spanish coastline, think of the wonderful holidays and new lifestyles that so many people have enjoyed in them. Another good thing about apartments is that they can be revamped relatively simply with fresh cladding, or even knocked down and started again, keeping seafronts and resort strips fresh and up to date. The positives of apartments include affordability, ease of use and, of course, amazing views. A wide choice of Spanish homes – which will be yours? These are very popular types of homes for people buying in Spain. Essentially, they are terraced properties in a town or on an urbanisation. Like with any terraced house, the front view doesn’t always tell you how large they are inside, so do look for the size in square metres before you spend time on a viewing, as some are very spacious while others may feel cramped. The gardens are usually quite small but there are often communal gardens to be enjoyed and a swimming pool or two, depending on the size of the development. Different nationalities tend to buy in the same area, so you could find a townhouse near to other British people. 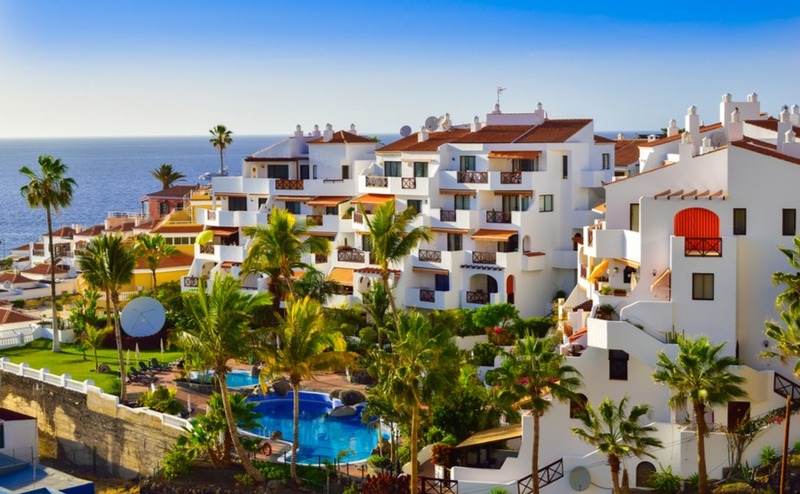 For developments that are occupied all year, there is often a good sense of community and the properties are easy to maintain, which is perfect for people who buy holiday homes and who are only in Spain part of the year. There will be service charges to pay which go toward the upkeep of the pool, gardens and communal areas. 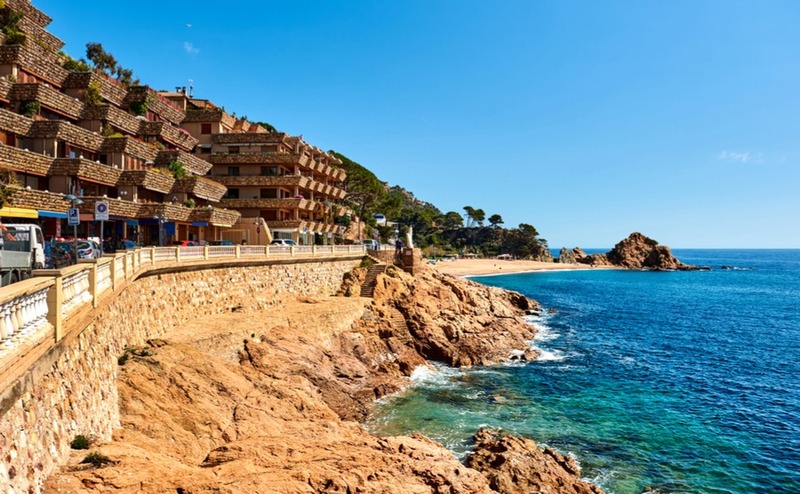 Apartments in Tossa de Mar: wonderful in summer, still wonderful in winter. Families often prefer to buy a detached property offering more outside space. You will find villas in towns and on urbanisations, as well as out in the countryside. Villas are generally more expensive than town houses and in the more rural locations will have larger gardens. Often a villa will come with its own pool, double garage and storage area. Most people would expect a villa to have a minimum of three bedrooms and two bathrooms (shower room), although older properties might have just two bedrooms and one bathroom. Villas built on hillsides with sea views will cost more than those with mountain or town views and this also goes for town houses and apartments. Extensive gardens can either be a selling point or a drawback, as some people love the idea of space whilst others don’t want to spend their time maintaining them or paying for gardeners. If you feel the cold, make sure your villa (or town house or apartment) has central heating. Even in the hottest parts of Spain it can get chilly at night in the winter and often an open fire isn’t enough to keep a villa warm. These imposing country properties can command high prices. Masias are large stone properties which belonged originally to a local dignitary. They are spacious and usually have a substantial amount of land around them. Located in villages or in the countryside, many have become B&Bs, small hotels or restaurants. If you are thinking of running your own business, a masia could provide all that you need. Fincas and cortijos are farmhouses, some dating back centuries. These used to be small estates and today are sought after by people looking for a tranquil rural existence. Despite being in the countryside, some are not all that far from the sea and these command higher prices than truly rural properties. Usually there are several outbuildings on the land, and many British people have bought such properties to have their own produce or as a commercial enterprise cultivating crops with livestock. Organic farming is becoming more popular in Spain and some of these estates would lend themselves to this trend very well. You need to carefully consider the type of property that suits you. An old house may look lovely but might be too much work for people who don’t live there permanently, whilst a town house could be too close to other people for those seeking peace and tranquillity. Will you have lost of guests and family visiting? If so, you will need several bedrooms and a garden, maybe with a pool? If though, you buy an apartment by the sea, you won’t need a pool but might want attractive views. Is it easy maintenance you are after, or does the idea of having a smallholding appeal? Spain has every kind of property to enjoy – just take your time to find what is right for you. They don’t look like a cave from the outside. Most cave homes look like normal villas but extend into the hillside. The three great benefits of cave homes are affordability, temperature control (they’re cool in summer and warm in winter) and frequently having wonderful views from their elevated position. Most are in the Granada area of southern Spain, or into Almeria, with a famous village in Cadiz too (pictured). These areas are easy to reach all year and with easy access to both mountains in ski season and beach in the summer season. With prices from just €30,000 for a brand-new, high-quality apartment of up to 100 square metres, half that for quality second-hand, why not? By far the cheapest option for home ownership in Spain, living year-round in a mobile home won’t be everyone’s cup of tea. But with prices from just €30,000 for a brand-new, high-quality apartment of up to 100 square metres, half that for quality second-hand, why not? 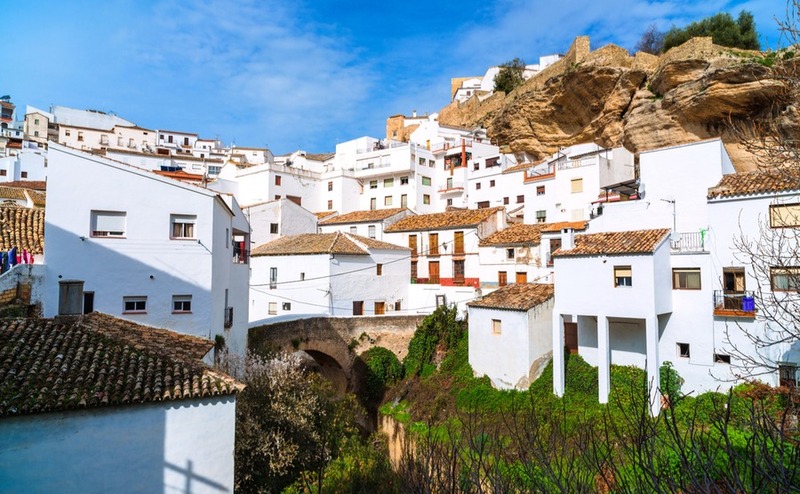 In southern Spain, where even winter temperatures rarely dip below 5 or 10°C, they offer a real alternative to living in a chilly British housing estate or retirement village. You will usually be warmed by the welcome from your fellow park residents too. Many park estates offer vibrant and friendly communities, with facilities such as clubhouses, swimming pools and even golf courses. Funding is relatively easy, with a bank loan rather than a mortgage, and you also save on Spain’s high buying costs, with often no need for solicitors. Do beware the yearly service charges and ground rent however, as these can be higher than in a bricks and mortar home.